An Assistant Chief of the Los Angeles Police Department said he would leave his post and formally retire later this year. Jorge A. Villegas, a longtime close confidant of Chief Michel Moore, made the sudden announcement to officials and staff. Villegas had been in charge of personnel, recruitment, and training as head of the office of administrative services. 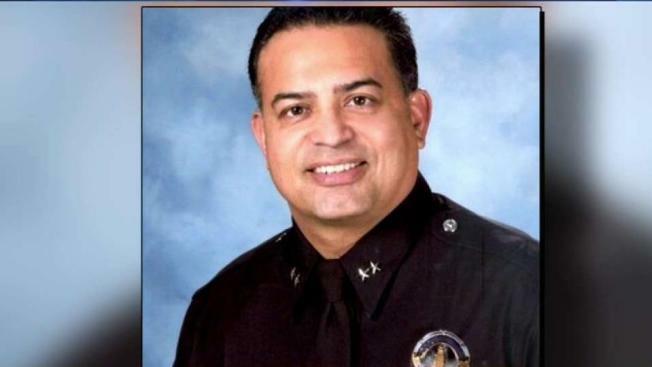 Assistant Chief Jorge A. Villegas was the subject of an LAPD internal affairs investigation in the weeks before he announced his retirement, multiple law enforcement sources have told NBC News. The investigation followed the receipt of two anonymous tips that made detailed, specific allegations about Villegas, the sources said. One of the tips was included in a letter; the other was left in a voicemail message. The nature of the accusations and the results of the internal affairs case were being closely guarded by the LAPD, that, like other police agencies in California, are required to keep misconduct allegations and disciplinary actions secret from the public. "Chief Villegas has indicated his intention to retire by the end of the year," LAPD public information officer Josh Rubenstein said in an email. "State law prohibits me from commenting any further on personnel matters." Villegas last appeared for work on Monday, October 22, and, according to department insiders, stunned his staff and colleagues late in the day when he said he would not return to LAPD headquarters, and planned to use vacation time before officially retiring later this year. The LAPD said last week Chief Michel Moore will choose a successor for the assistant chief position in the coming weeks and Deputy Chief Jon Peters would take the job in the interim. Villegas had been in charge of administrative services, which included hiring, personnel, training, and other internal functions.